I meant to include this photo comparison on my last post, so here it is now. 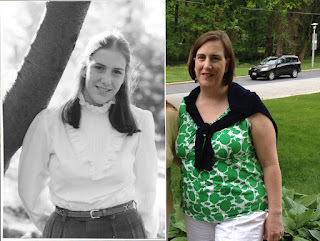 Here's me Spring 1982 in my Senior portrait photo from Bryn Mawr on the left and me last weekend about to go to my 30th reunion at Bryn Mawr. 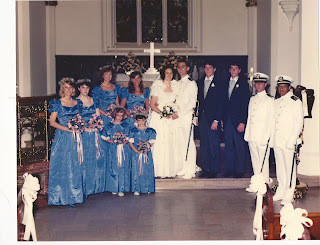 It would have been fun to do a slideshow like this for everyone in our class -- or maybe not, maybe we don't want to be reminded of what we looked like 30 years ago.